Co-founders of the Johns Island Conservancy, Colin Cuskley and Captain Chad Hayes, recognize the beautiful yet fragile nature of the ecosystem on and surrounding John Island, and they are passionate about preserving it. The focus of the Conservancy’s efforts lies mostly in education; they want people visiting and living in the area to understand and be knowledgeable about the health of our local ecology. 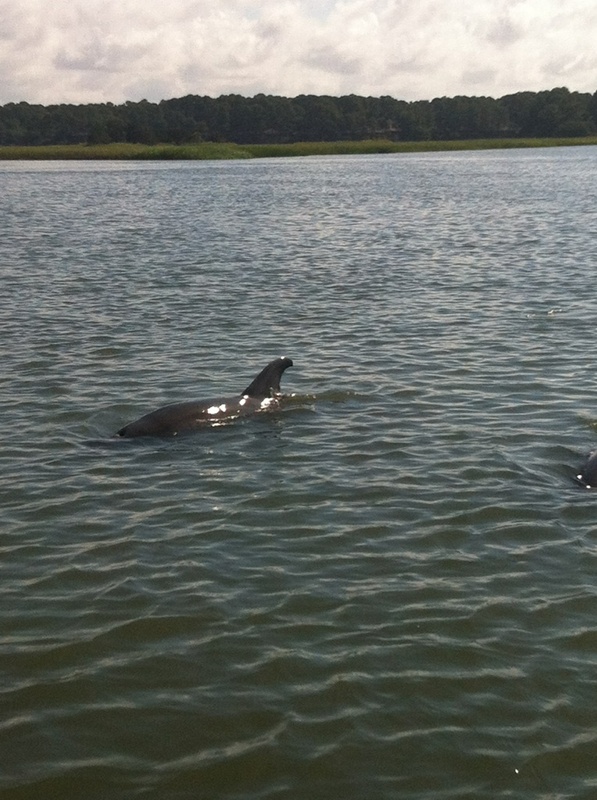 Both Cuskley and Hayes are also well versed in the habits of the dolphin population that resides along the Kiawah River. 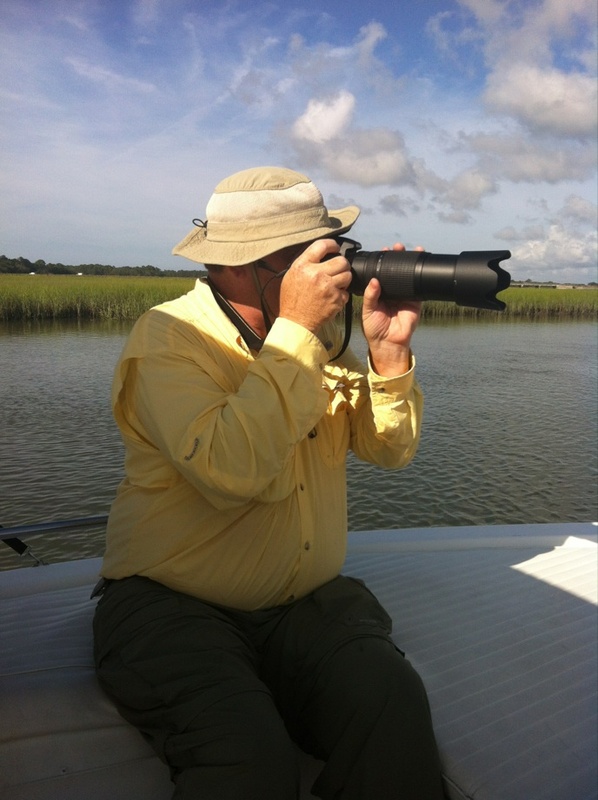 By way of his Kiawah Charter Company, Captain Hayes offers a two-hour long dolphin encounter tour in which he and visitors experience firsthand the living and feeding patterns of these dolphins. 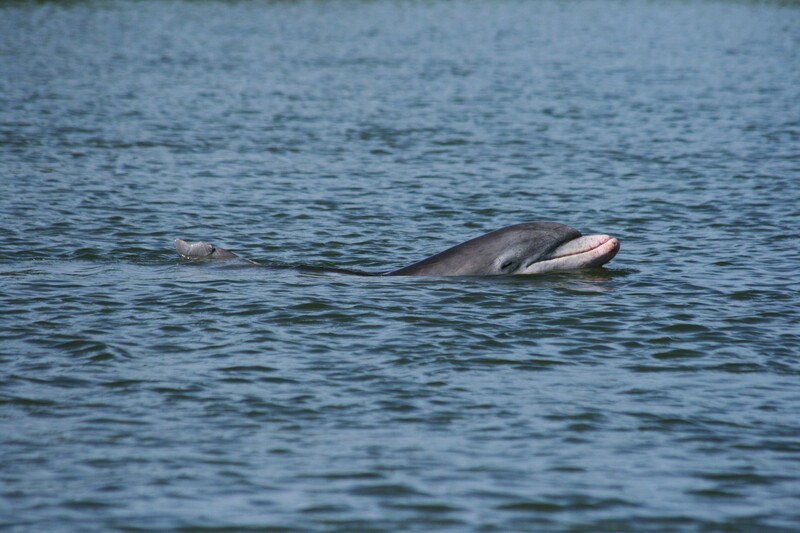 Hayes first encountered this pod of approximately 22 Atlantic Bottlenose dolphins in 2002 and since then, has developed a close relationship with them and their habitat. 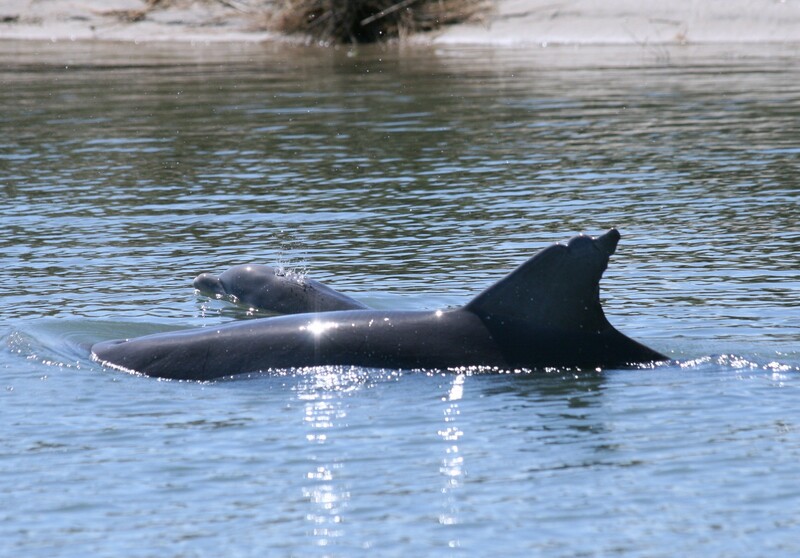 He stresses the value of this relationship, as wild dolphins very rarely interact with humans. “It’s a great opportunity to learn about their patterns and behaviors. This pod is so wonderful to study because they’re like captive animals, but not really. 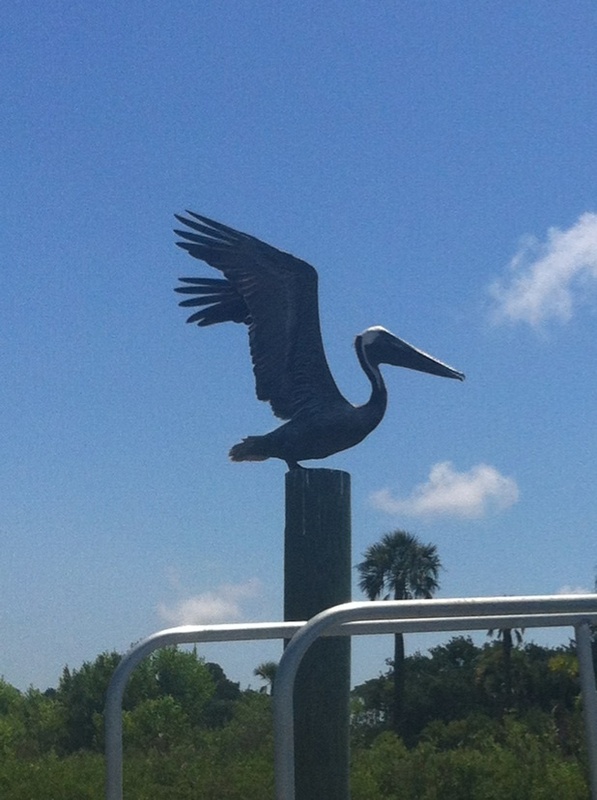 They’re free to roam,” says Hayes. Having studied these animals for more than 10 years, Captain Hayes is able to recognize each dolphin by the scars and marks on their dorsal fins, products of shark interactions, oyster bed run-ins, fighting among themselves, and general life in the wild. These unique characteristics helped him to give each dolphin a name to better help him conduct research. Residing in this pod are Bianca, Hook, Scratch, and Sara, to name a few. 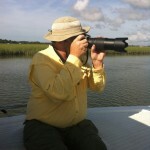 Leaving out of the Briar’s Creek salt marsh, the tour showcases one of the world’s most productive ecosystems while also providing looks at the birdlife and acres of oyster beds that thrive in the area. 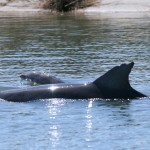 Hayes describes the island that runs west and inland as a “naturally protected sanctuary” for the pod of dolphins. 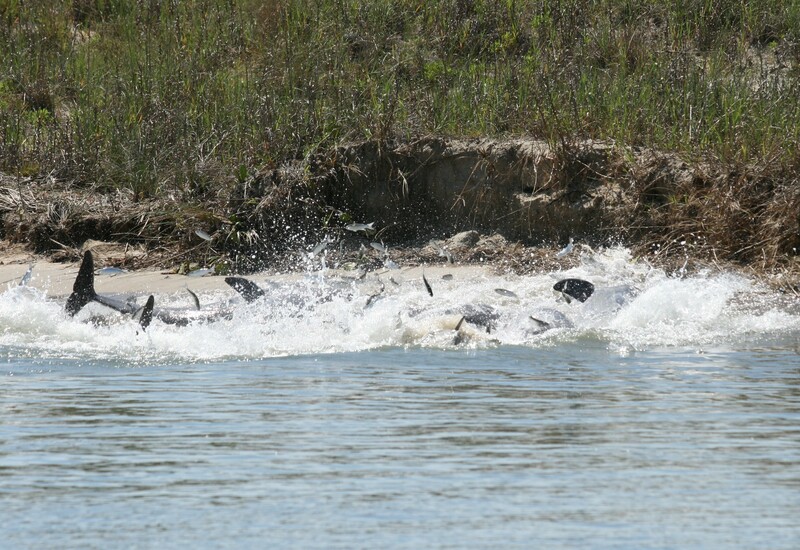 the dolphins are herding end to end along the bank of the river. the fish are jumping between the dolphins and the bank, getting nervous. 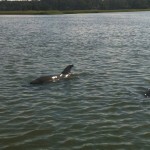 the dolphins’ heads are out of the water, checking the bank. This feeding process allows the dolphins to fulfill their 20 pound fish quota per day, which is 5 percent of their body weight. 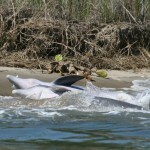 Research documents this behavior going back more than 30 years, but Hayes notes that these dolphins adopted the technique because the area they occupy along the Kiawah River is so perfect for it. 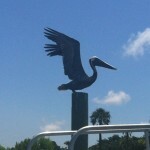 Visitors can witness strand feeding all summer long, although the peak months are September through October. One thing that Cuskley and Hayes emphasize is the importance of the public understanding this feeding behavior. 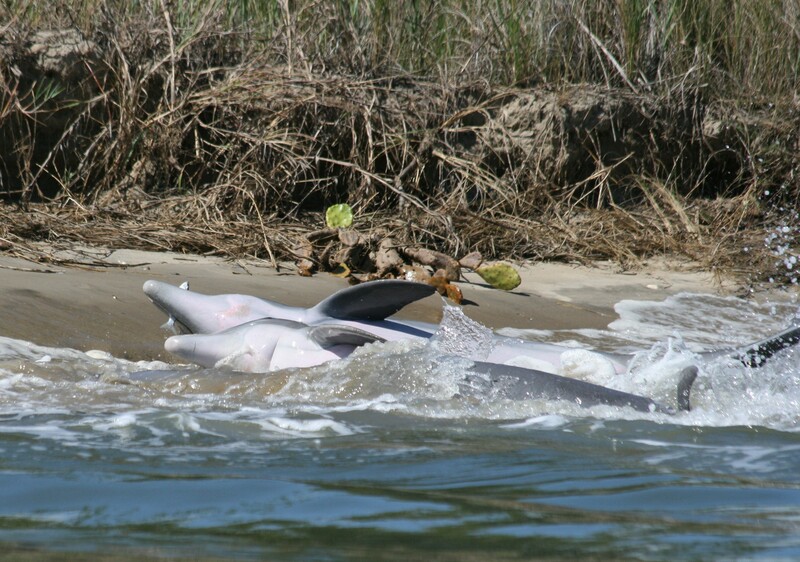 They realize that many people are looking for a close encounter with these dolphins, but following the animals along the banks of the river prevents them from getting their food. 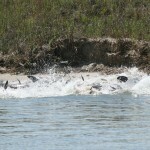 “It is essential to their survival that they be able to feed in this area. When people don’t understand the behavior they’re witnessing, it can cause them to endanger it,” says Hayes. One solution that the Conservancy is working toward is placing signage around the island, encouraging onlookers to stay the recommended 50-150 feet away from the dolphins. “Unless we get educational materials on why people should give them some space, these negative encounters are going to continue to happen,” says Hayes. 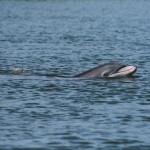 For more information about the Johns Island Conservancy and dolphin strand feeding, visit www.jicsc.org or contact Colin Cuskley at 801-1501.